Grace Hartigan, whose work played the range between abstraction and representation once told an interviewer: "Now as before it is the vulgar and the vital and the possibility of its transformation into the beautiful which continues to challenge and fascinate me." Hartigan's interest in incorporating an eclectic range of images into her paintings--including mannequins, coloring books, images from film, Old Master paintings, and store window displays-- vitalized her art but eventually caused the influential critic Clement Greenberg to withdraw his support. 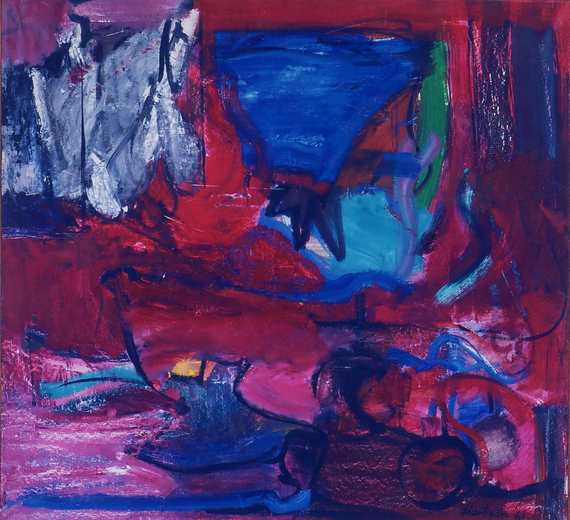 Greenberg and other influential figures of the time didn't understand what she was trying to do and the painter Willem de Kooning once reduced her to tears by telling Hartigan that she "completely mis-understood modern art." The rise of "Pop" art and a move to Baltimore in 1960 removed Hartigan's once top-flight career from the spotlight, and her reputation has never fully recovered. 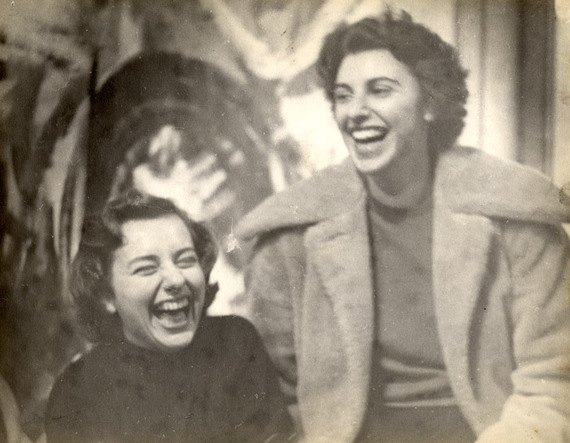 Even if Hartigan can't be neatly labeled as an "Abstract Expressionist" her status as a pioneering woman artist at a time when men dominated the field invites study. Curator Michael Klein, who has been studying and assembling a small exhibition of Hartigan's works from the early 1960s, thinks a new examination of Hartigan's achievement is overdue, and he asks a powerful question: just where where does her art, and the art of other pioneering women artists of the 1950s and 60s fit into the "canon" of American painting? I recently spoke to Michael Klein to find out more about Hartigan, and about the exhibition of her works that will be on view at the X Contemporary Art Fair in Miami from December 1-6. Curator Michael Klein on Grace Hartigan How did you become interested in and aware of Grace Hartigan's work? A few years ago I was introduced to a collector in Baltimore MD. In her house was a great Hartigan watercolor of three figures: I had no idea who the work was by until she told me. Being very taken with the work, I began to ask all sorts of questions. I knew Hartigan's earlier Ab Ex works but not the more figurative works from the 70s and onwards. Shortly after seeing this work and being re-introduced to her life and work I learned that Hartigan died. Later, I wrote a short piece about her work for the Art Section, an online journal. Tell me a few things about Hartigan's achievements in the 1950s, and about her friendships with other artists of note. Hartigan began her career showing with Tibor de Nagy and from the start sold works. MOMA purchased a work--The Persian Jacket-- from her third show. She was included in Dorothy Miller's famous exhibition 12 Americans and then was part of a major traveling exhibition--The New Americans-- organized by MOMA which toured in Europe. 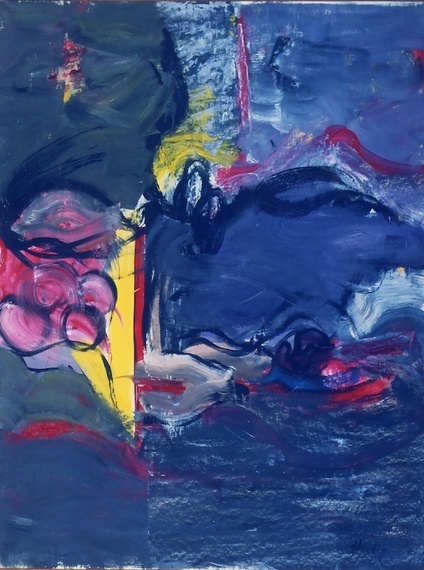 She was the only woman included among a group that included deKooning, Pollock and Kline. While living and working on the lower east side her she knew everyone: the Pollocks, the de Koonings, Franz Kline, Alfred Leslie, Larry Rivers and Helen Frankenthaler were all part of her circle of friends and colleagues. Of course there was also the poet Frank O'Hara with whom she had a very close friendship. As one of the few female Abstract Expressionists active in the 1950s, how was her work received by critics, institutions and the marketplace? Hartigan was a success. 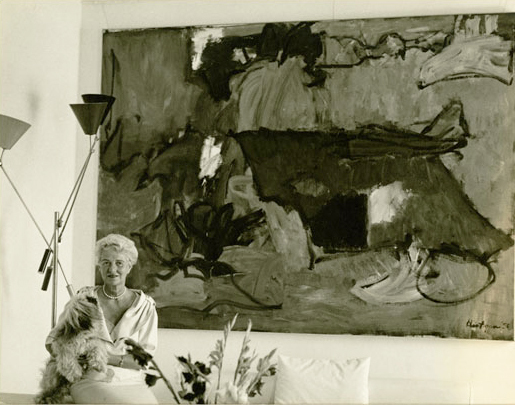 She sold all her work to the major collectors of the day, the architect Philip Johnson, Governor Nelson Rockefeller and Peggy Guggenheim. As a result you will find her early paintings in collections such as the Albright-Knox, the Hirshhorn and the National Gallery. Because many of her early works are mostly in major museum collections across the country you don't see her works on the auction block for millions and millions. The exhibition you have organized features works from 1960 to 1965. 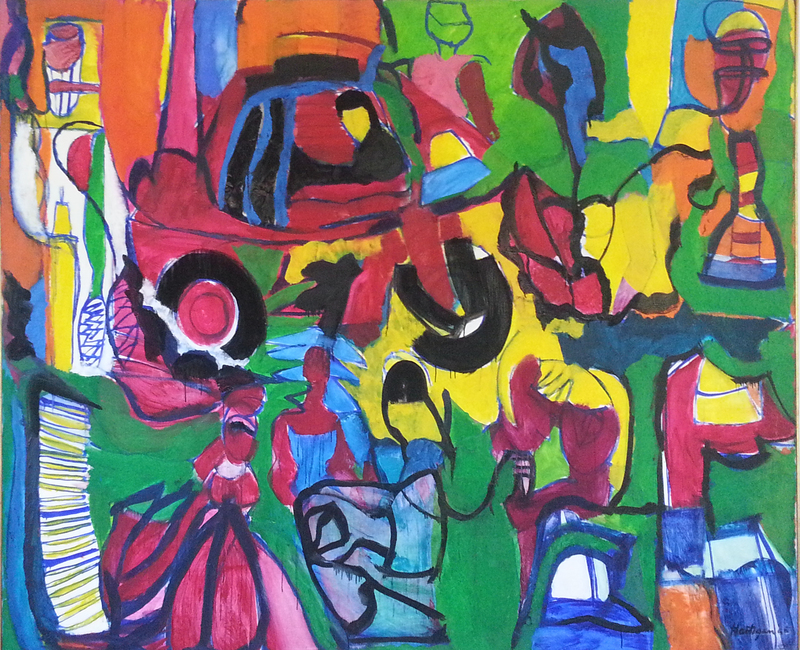 Do all of the works from this era move blend abstraction and representation? Immediate answer is no: some of Hartigan's paintings of this period are pure abstractions such as Saint Valentine or Pomegranate; others like Grey Eyed Athena have a figurative element to them. It was typical of Hartigan to bring figurative elements into play within an abstract vocabulary and this is why the influential critic Clement Greenberg so opposed to her work. Hartigan was not aiming for a singular style but instead was exploring the options of what was available to her when it came to painting. This raises a question: why was it permissible, in Greenberg's thinking, for de Kooning or Pollock to make reference to the figure but not for Hartigan? Reistertown Mall seems a logical next step in an evolution of her works where by 1965 Hartigan was integrating figurative elements within the structure of abstract fields. Tell me about the role that dealer Beatrice Perry played in Hartigan's career. Beatrice Perry came into the picture in the 60s and there had both a working relationship and a friend ship. In the gallery archives I found many a long hand written letters by Grace to Beatrice one of which we will have on display in the show along with other memorabilia. Along with discussions about business, who is buying what and where works might be shown Hartigan expanded on her ideas about being a painter, her ambitions and her visions for her work. The gallery was short lived but the friendship endured. Perry supported Hartigan financially which is how this collection came to be. There are more works, some have been sold , but for the most part what was collected then is still together. \What do you think were Hartigan's strengths, as an artist and as a person? I think the thing about Hartigan that I admired the most is her purposefulness in her work. No matter the economic realities or the ebb and flow of the art world she had a plan for her work and she stuck to it. Her journals are very useful when it comes to learning about her thoughts and ideas as well as the day to day struggles to make ends meet while trying to paint and build a career in New York in the 50s. Unfortunately I never met her but from what I have heard about her she spoke her mind, was fiercely independent and single minded in her efforts to keep painting. Her niece Donna Sesee is alive and has told me about her aunt and has collected many letters documents and momento s that Grace shared with her family. Do you have a favorite Hartigan painting? My favorite in the Miami show is Grey Eyed Athena. Outside the show I would choose the Whitney Museum's Sweden. Is there anything else that needs to be said about Grace Hartigan? Yes I think its time for curators and historian to rethink and retool the canon. The end of WWII which in most cases the the fulcrum around which the case is made for the direction of American art needs to be reexamined now that we are well into the 21st century. 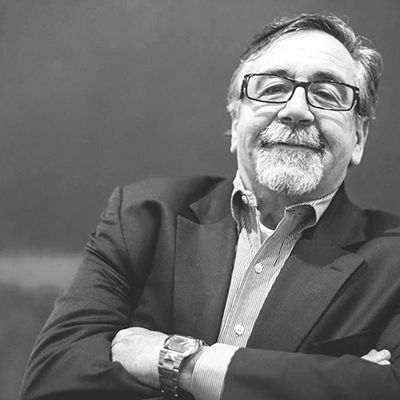 Where does Hartigan fit? Where do other women fit? Why are so many artists left out of these histories and how do you get them into the history books, into museum exhibitions and widen the terrain to be more inclusive of not only artists but different aspects of art making that overlap with the times. 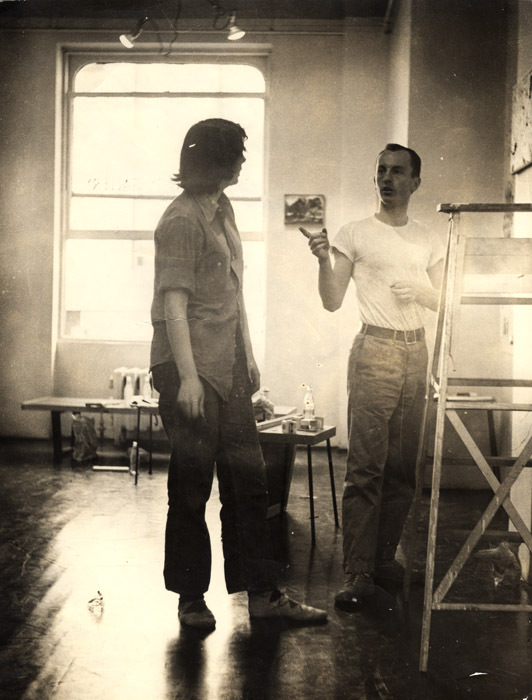 What might a painter, a photographer and a ceramicist have in common in say 1960? In my research as curator for the Microsoft collection and also as an independent curator I am eager to see under recognized artists like Grace be brought forward and also Hedda Sterne, Claire Falkenstein and Robert Mallary.